to get to the root cause of health concerns. We pride ourselves on building relationships that are built on trust and authenticity—and the knowledge that our commitment will create better lives for those in our community. Our office is a happy place. It's a place of commitment, compassion and certainty that what we do, works. Nothing brings us greater joy than seeing the transformation in the lives of the people we serve. It's our passion to develop strong relationships with our patients. We pride ourselves on building relationships that are built on trust and authenticity—and the knowledge that our commitment will create better lives for those in our community. The chiropractic care in our clinic is gentle and effective. We understand that many patients don't care for adjustments that involve a lot of twisting and popping of the spine. To accommodate this preference, we feature an array of outstanding techniques that are gentle enough for even a newborn. Dr. Anne-Marie has earned Certified Advanced Proficiency in Torque Release Technique (TRT). She's only one of 200 in the United States with this distinction. TRT is considered to be the most scientific chiropractic technique in the world today. to have a comfortable pregnancy and an optimal birth outcome. Our practice receives referrals from many local obstetricians and midwives for our expertise in this area. Children are loved and welcomed in our practice! We think that the greatest gift a parent can give to their child is the opportunity to grow up with a finely tuned nervous system. Patients appreciate the warmth of our office environment and innately sense the compassionate support that we offer. 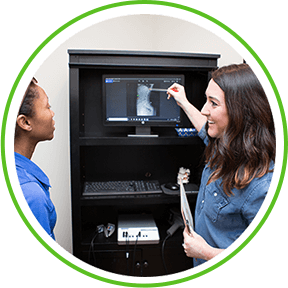 If you've been searching for a Chiropractor in Dunwoody, contact us today for a convenient appointment with Dr. Anne-Marie or Dr. Jen! 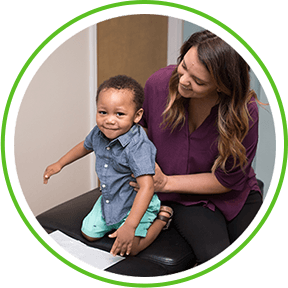 If you are in the need of really capable chiropractor who can properly diagnose your problem and give you lasting relief, I highly recommend Dr. Anne-Marie (Campbell) DiNardo. Looking forward for my next visit!